Did I Choose The Right Partner? Ever wonder what your life would be like if you chose to marry someone else? This is a frequent thought with the individuals who walk into my office seeking marriage help. If you are anything like the couples and married individuals I see, you have likely thought about someone from your past, or someone new you have met and thought that life would be better with that other person. It just would have to be. You have thought, even for a fleeting moment, that just maybe you made a mistake when you chose your mate. Why wouldn’t you when your life with your partner isn’t how everyone else’s relationship looks on Facebook, but that’s a whole other discussion. The thing I’ve come to realize though, is that the grass isn’t always greener on the other side of the fence. Every couple has problems. No matter what relationship you are in, there will be problems. Not one, not two, but many. In fact, if you don’t, that is an even bigger issue typically because it means that someone just doesn’t feel comfortable enough to speak their mind. Now, not all problems are the same. There are perpetual problems and solvable problems. There are minor problems and major ones. So if you are in an abusive marriage or relationship, please don’t take this as me saying that you might as well stay because your next relationship will be just as bad if not worse. But aside from abuse, there are going to be things you are going to disagree about. I have never found a person in my life that I didn’t disagree with at least one thing on. So let’s look at Mary and Tom. Mary is upset that Tom isn’t as involved with the kids as she would like. He is present with them when he is home and spends time with them in small bursts but will frequently prioritize work over family. She begins to feel tired as she has to be the one always responsible for getting them to extracurricular activities and taking on the bulk of the child-rearing. Before Mary met Tom she had been dating Allan. Allan had been abused by his dad and never had a good role model on how to be a good dad. If Mary had married Allan he would have worked hard to not be physically abusive to the kids but he still would have been emotionally and mentally abusive to their children. If Mary had married Jim they never would have even had kids as Jim never had a desire to be a dad. Tom has his own gripes about Mary and their relationships. Tom feels that he is not a priority to Mary as she spends so much time with the kids, at their schools, and with her friends. He would like to get to spend more time with her one on one but she is exhausted by the time the kids are in bed. If he had married Jenn, however, Jenn would have needed so much validation from Tom to feel secure that he would be feeling that he needed more space instead. If he had married Tina he would feel like a priority to her but would feel that his kids were not being taken care of to the level that he would like. Of course this couple and their other possible mates are all fictitious. I made up names and situations (they are not based on any specific couple but instead common situations faced by couples to make it relatable). 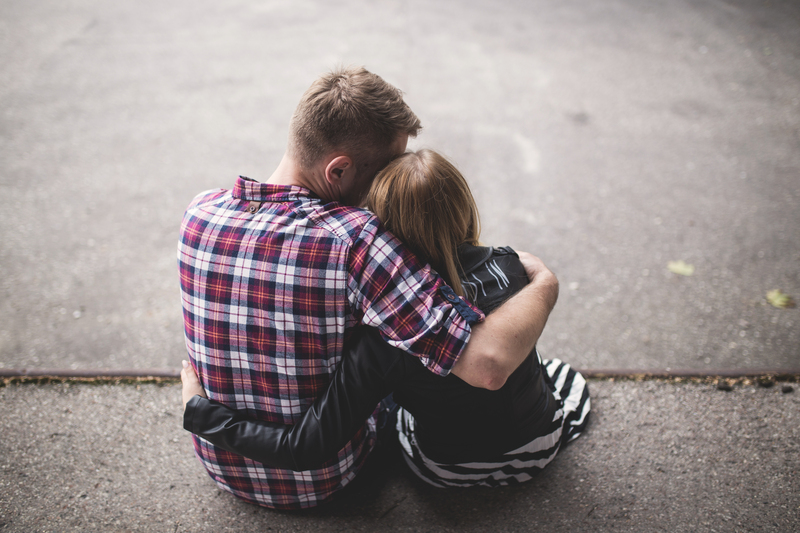 Whether or not you have experienced these specific problems with your spouse, I hope that it helps to illustrate that no matter who you are with you will have problems in your relationship. The goal is not to have a conflict free marriage but instead to learn how to effectively manage the conflict that you have.